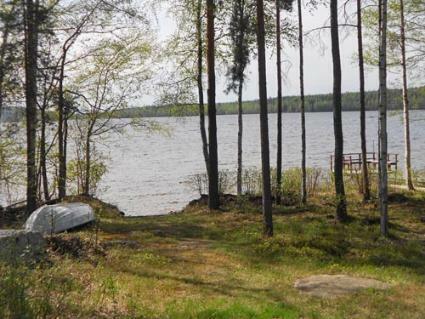 45 km west of Mikkeli, L.Puulavesi 20 m (length 40 km, width 10 km), shallow, hard sand bottom, own boat. 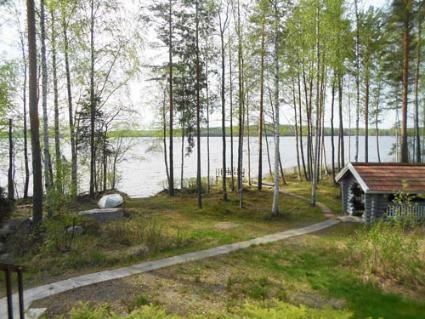 Laminated log cottage 2011, living room/kitchen, sleeping loft 4 beds, sauna, washroom hot water cauldron, water has to be carried 25 m from lake, terrace (25 m2). 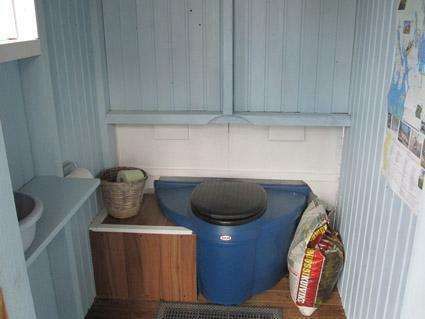 Outside toilet (composting type) and woodshed. 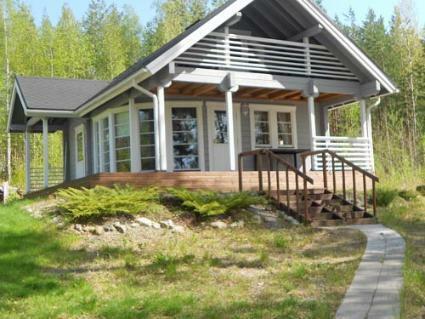 Cottage ideal for family. All beds in sleeping loft, which has no partition walls, rather steep stairs to loft. 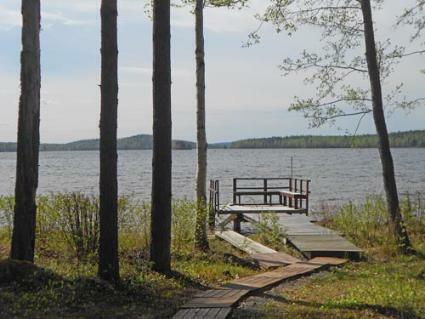 Around cottage a lot of forest and good hiking terrain, nearby is waymarked nature trail, approx. 2 km long. Drinking water has to be fetched from caretaker 3 km away. Childs cot will be brought to cottage, if required; no baby feeding chair provided. Kiosk 2.5 km, Hotel Satulinna at Hirvensalmi 15 km, Hirvensalmi 20 km, Mikkeli 45 km, Visulahti 50 km, Lahtelan ratsutila ky horse-riding stables at Hirvensalmi 25 km, Pohjolan talli Otava horse-riding stables 27 km, Annila-golf 42 km, Puula-golf 46 km, Leivonmäki National Park 75 km, Repovesi National Park 90 km. Note: check in latest at 21 on arrival day to RECEIVE THE KEYS (not later! ).